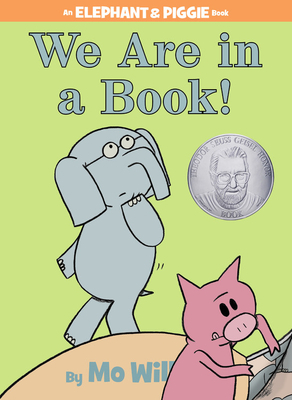 Number one New York Times best-selling author and illustrator Mo Willems has been awarded a Caldecott Honor on three occasions (for Don't Let the Pigeon Drive the Bus!, Knuffle Bunny: A Cautionary Tale, and Knuffle Bunny Too: A Case of Mistaken Identity). Other favorites include Big Frog Can't Fit In: A Pop-Out Book and City Dog, Country Frog illustrated by Jon J Muth. His acclaimed Elephant & Piggie early reader series received the Theodor Seuss Geisel Medal in 2008 and 2009. For more information, visit www.pigeonpresents.com. #1 New York Times Bestselling author and illustrator Mo Willems has been awarded a Caldecott Honor on three occasions (for DON'T LET THE PIGEON DRIVE THE BUS!, KNUFFLE BUNNY: A CAUTIONARY TALE, and KNUFFLE BUNNY TOO: A TALE OF MISTAKEN IDENTITY) and his acclaimed Elephant and Piggie early reader series received the Theodor Seuss Geisel Medal in 2008 and 2009. He lives with his wife and daughter in Western Massachusetts. For more information, visit www.pigeonpresents.com.